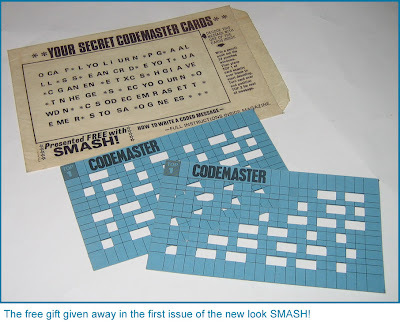 Forty years ago today (Saturday 8th March 1969) UK newsagents saw the launch of IPC's revamped Smash! weekly. 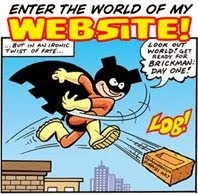 The comic had been in continuous publication since early 1966 by Odhams, and had contained a balanced mixture of funnies, adventure strips, Marvel reprints and even included the Batman newspaper strip in most issues. Now under IPC's charge, radical changes had arrived. The International Publishing Corporation (IPC) had begun in 1963 following the merger of three of the UK's major publishers, George Newnes, Odhams Press, and Fleetway Publications who joined the Mirror Group to form IPC. Five years later in 1968 IPC Magazines Ltd was formed to gather the comics and magazines it had acquired under one publishing company. The IPC influence had been gradually infiltrating Smash! several months before the new look issue by introducing war strip Sergeant Rock Paratrooper and wrestling series King of the Ring. Before then, Smash! had pretty much ignored the traditional UK adventure fare of war and sport serials. The adventure series it had contained had been fantastic in nature, from the British superhero Rubber Man to the time-traveling series The Legend Testers. Smash! had been an escapist comic, non-establishment in many ways, and readers loved that aspect of it. 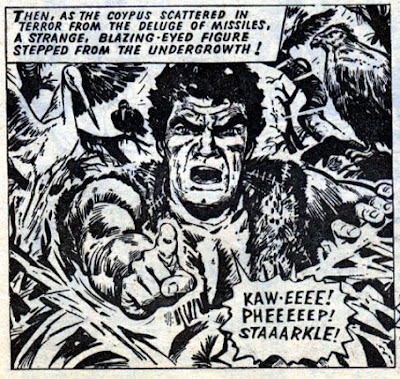 IPC's takeover heralded a move to neuter Smash's maverick nature and turn it into a standard boy's adventure weekly. 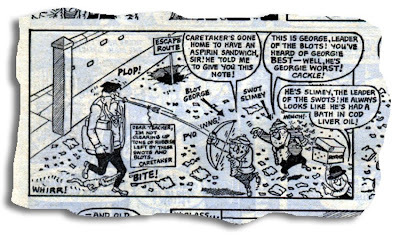 Seven of the old Smash strips carried over into the relaunch issue: four funnies (Bad Penny; Swots and the Blots; - both with Leo Baxendale back at the helm, Wiz War, and Percy's Pets) and three adventure strips (Bunsen's Burner; King of the Ring, and Sergeant Rock Paratrooper - the latter being a reprint from (I think) Lion). Most of the 40 page comic featured brand new characters, and even the cover numbering was dropped, effectively making the revamped Smash! feel like a totally new comic, as was the intention of course. A few months after The Cloak ended Mike Higgs was drawing Space School for the new Whizzer and Chips. However it was an uneasy and short tenure as the editor wanted Mike to adapt to more of a IPC house style, which Mike was reluctant to do. 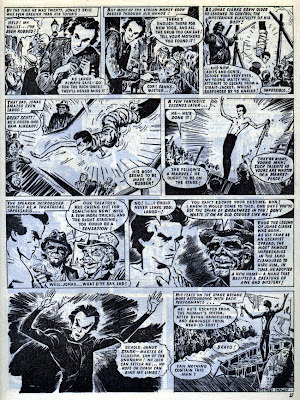 Although IPC still had a licence to reprint Marvel strips at that time, the Marvel material was also dropped for the Smash! relaunch. With a new logo too, the new Smash! was totally unrecognisable from the comic it had been just seven days earlier. However, despite all this, it was a strong publication due to the arrival of new characters and top quality artists who had never worked for the comic before. Leading the comic were dynamic covers by Geoff Campion, one of Fleetway's major artists, illustrating the new Warriors of the World feature. (These were numbered, presumably in an attempt to fool newcomers into thinking Smash! was a new comic.) Inside, the first strip was Master of the Marsh, - a serial about unruly schoolkids being brought to book by "wildman of the fens" Patchman. It was drawn by Solano Lopez, known for his Kelly's Eye strip in Valiant. 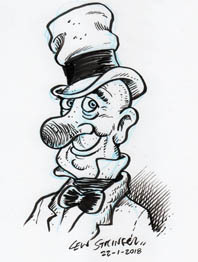 The rest of the comic's new strips included the tepid World-Wide Wanderers about a football team comprised of racial stereotypes; Rebbels on the Run concerning the three Rebbel brothers who run away from the orphanage (nicely drawn by John Stokes); and His Sporting Lordship, drawn by Doug Maxted, which proved to be hugely popular as working class Lord Henry Nobbs embarked on numerous sporting achievements week by week. However the two strips that remain memorable for most comic fans were Cursitor Doom and The Incredible Adventures of Janus Stark. Cursitor Doom was a mystic investigator, fighting "foes beyond the comprehension of other men". It was drawn by long time Fleetway artist Eric Bradbury who drenched the series in dark brooding menace. An absolutely perfect choice to illustrate a series such as this. The new editor of Smash! 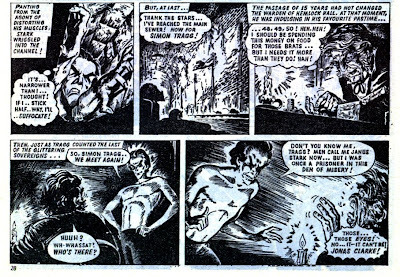 probably expected Janus Stark to be a hit as the first episode ran to five pages, - an unusual privilege in those days. Episode one recounted the origin of the Victorian escapologist, with all the grime and poverty of the era superbly illustrated by Solano Lopez. For myself (and others as I've since discovered) Janus Stark was the main reason to keep buying this new version of the comic. The Victorian setting added a mystique to the story and Lopez's depictions of the somewhat demonic-looking Janus Stark using his pliable limbs to escape imprisonment brought a real sense of suspense to the stories. 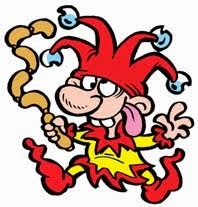 Unlike previous Smash hero Rubber Man, Janus Stark didn't actually have rubber bones, so his feats of escapology were often difficult struggles that kept the reader engrossed. Overall, Smash! had lost a great deal in the revamp, - its swingin' sixties demeanour, its sense of anarchy, and its unique identity. However with the 1960s drawing to a close changes were undoubtedly needed. Even today I'm not sure that making Smash conform to the template of a traditional boys' weekly was ideal, but presumably sales had been declining and a revamp was necessary. 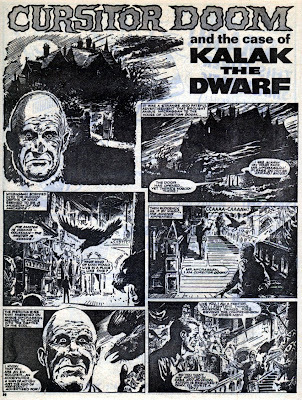 Bringing in editors from Fleetway, IPC tried to emulate the successful format of Lion and Valiant. As it turned out Smash! only ran for another two years before merging into Valiant. In November of 1970 industrial action suspended Smash and several other IPC comics for a few months, and this obviously impacted on its profits. With readers having drifted away during the strike perhaps things never recovered when it returned in 1971 and the merger with Valiant was therefore inevitable. It's impossible to say whether Smash! would have survived if the strike hadn't happened. 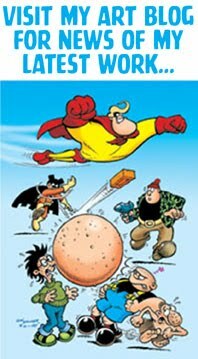 IPC had clearly tried to make their version of the comic popular by using some of their top talents on it and although it was completely different from its previous incarnation IPC's Smash! was a very enjoyable comic in its own right. I was, as they say today, gutted when this happened! Only Janus Stark and Bax back with Swots and Blots (and think how great they became in just a few weeks time) kept me buying SMASH! Somehow, it really felt like the Sixties were over when this happened! Power fan says: The way Batman ended shortly before was strange - cramming a whole story into one episode by reducing the size of the pictures and severely shortening it, resulting in the method of Batman's escape from the submarine via a torpedo tube not really stacking up. However, the new Smash was an improvement on the old - an excellent article as always, Lew. Funny how Mike Higgs' The Cloak always looks very modern..
Just my imagination, or was Cursitor Doom a bit of an Aleister Crowley look-alike? I remember that a few weeks into the revamped Smash's run, an editorial said they'd had a letter asking them to bring back the superheroes but that it wasn't going to happen. I'd love to read a full account of the rise and fall of Power Comics. 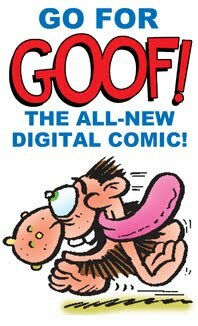 The only reason that I, and my fellow 14-16 year olds bought "Wham" "Smash" and "Pow" was for the Marvel strips. These were not easy to find elsewhere. When "Fantastic" and "Terrific" appeared we dropped the others! Very true JD. 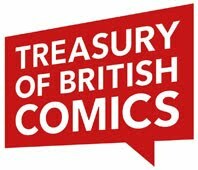 Distribution of Marvel Comics in the UK was haphazard in the mid-sixties wasn't it? Issues from 1965 would come over with issues from 1967. It improved in 1968 though, which might be one of the reasons Fantastic's sales dipped then. I'm not the same Anonymous as the one who commented on March 9 saying that the new Smash! was an improvement on the old; I'd just started buying the Power Comics Smash! for a few weeks and they went and changed everything about it that I liked. I continued getting it, though, even though it had been dumbed down in some respects. Later that year, possibly to cash in on ITV showing the final series of Batman, Smash! introduced a superhero - Tri-Man - that ripped off many aspects of Spiderman, so they hadn't entirely ditched that part of the old comic. 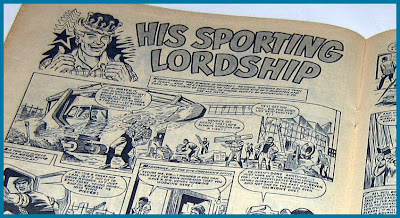 Hmm, "His Sporting Lordship" sounds suspiciously DCT-a like XD. I assume the comic strip version of one of the "sporting toff" story-paper stories was running at the time and they felt they needed to compete. Seems likely Micheal. 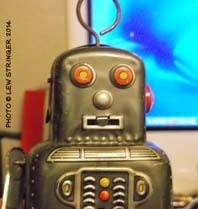 The character in HSL was very much a Bernard Briggs type of personality, suddenly plunged into an upper class world. Looks like IPC hit all the right notes though. 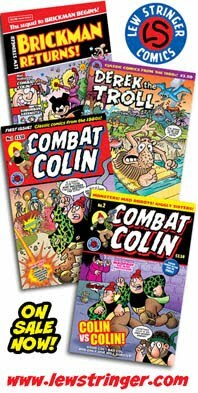 It was very successful and the character featured on the covers of most of the IPC Smash annuals, so I imagine it was the most popular strip in the comic. 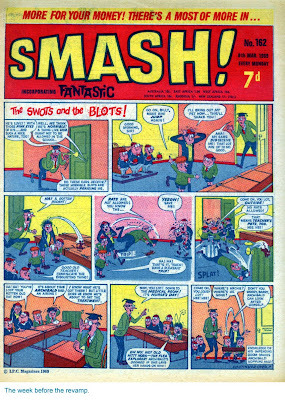 There's some additional evidence that 'His Sporting Lordship' was the most popular strip in the revamped 'Smash', in that it was one of the few strips to survive the merger with 'Valiant' in 1971, when most of the strips from 'Smash' were dropped. 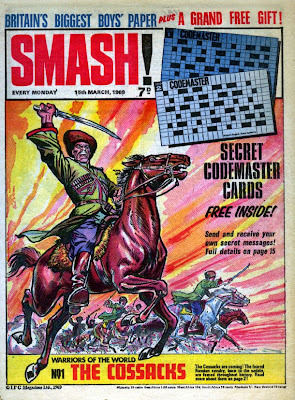 As to 'Tri-man', the editorial page in 'Smash' reported shortly after the 1969 revamp that a lot of letters had been received complaining about the dropping of all the Superhero strips. IPC's response to these complaints was to quickly introduce a superhero strip of their own, i.e. 'Tri-man', which they didn't have to pay Marvel an expensive licencing fee to use. It certainly had similarities to the discontinued 'Spider-Man' strip, in that Johnny Small was a schoolboy in his mid-teens, who gained super powers ("triple powers") which enabled him to leap from building to building like Peter Parker, and he wore a costume similar to Spidey's in some respects. He also had a school bully as an enemy who was similar to Flash Thompson. But he got his powers from a small ray device, supplied by Professor Meek, and had to recharge his powers in the same fashion as Green Lantern at DC Comics. So he was actually a merger of more than one US comics character! The DFC: Dead, Folded, Cancelled?